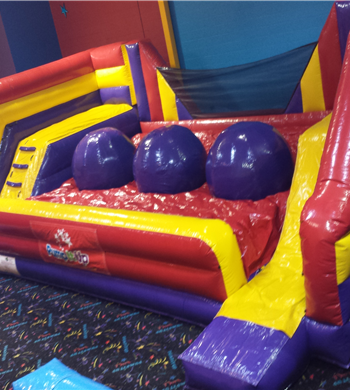 Modeled after hit show Wipe Out! 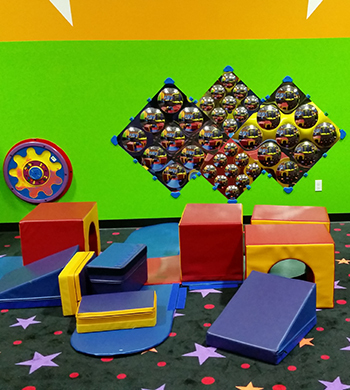 We promise you will love the challenge of getting all the way across! 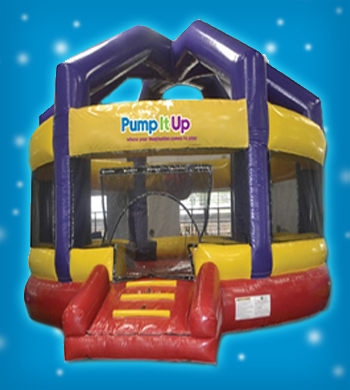 New at Pump It Up!! Double the fun! 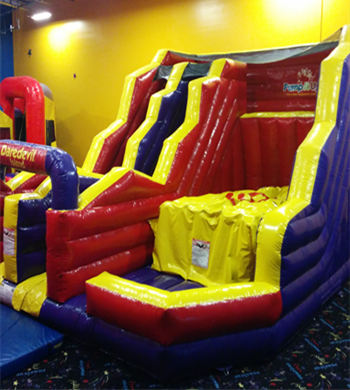 Enjoy zipping down our double lane slide! 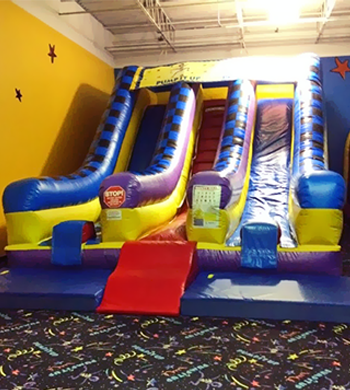 Thrill seekers will enjoy climbing to the top with an option of either sliding down a slide or jumping off into a zero shock pit! 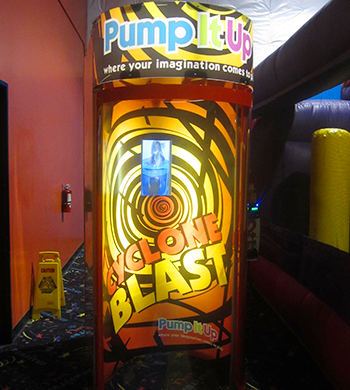 Try and knock your opponent off their pedastal with the wrecking ball, NEW and found only at Pump It Up! Ready, set, GO! 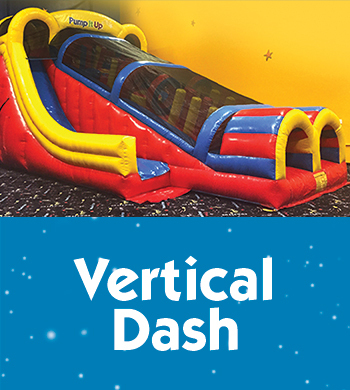 Race your friends to the top of the action packed obstacle slide! 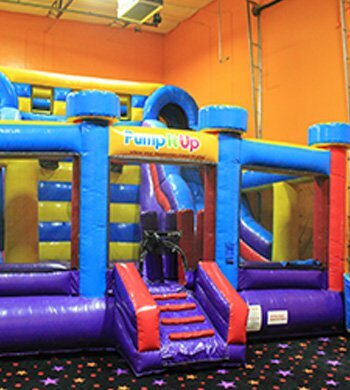 Bounce and play a game of basketball, race up the top of the obstacle, or slide down the bumpy slide on Pumpi's Playground!! 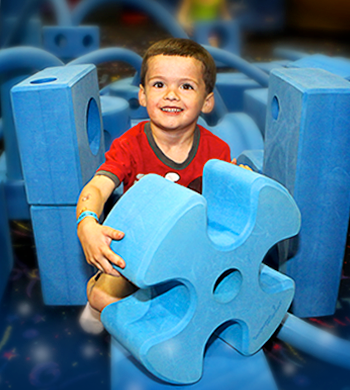 Your toddler will have a blast climbing on our soft climbers and sliding down our "baby" slide! Guest of Honor gets one ride included with all birthday parties!